To fight food shortages in the 1950s the USSR embarked on a major agricultural project to develop vast areas of previously uncultivated land. To fight food shortages in the 1950s the USSR embarked on a major agricultural project to develop vast areas of previously uncultivated land in northern Kazakhstan. The project attracted hundreds of thousands of enthusiastic volunteers, but decades later it led to environmental problems. Dina Newman spoke to an agricultural volunteer, Rimma Busurova. 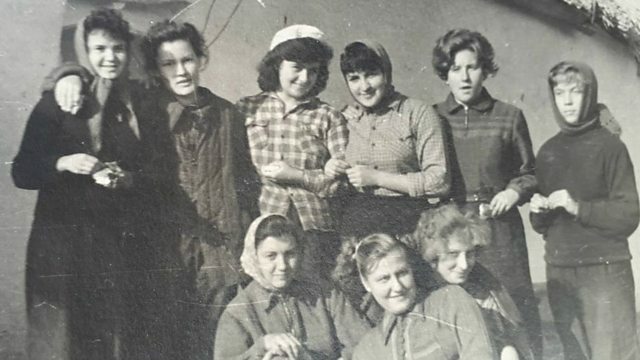 Photo: Rimma Busurova and her classmates outside their dormitory in northern Kazakhstan; credit: Rimma Busurova family archive.